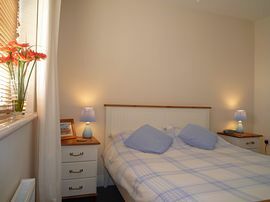 Cliff Walk Cottage is a modern built, two bedroom house, which can sleep up to 6 people. French doors leading out onto the garden. This room has 2 single beds, with a bedside chest, wardrobe, shelving, a lamp, a radio alarm clock and a mirror. 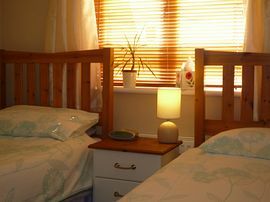 Has a double bed, with wardrobe, a large chest of drawers, lamps, radio alarm clock and a mirror. 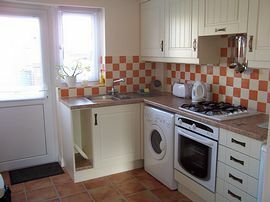 The kitchen is fully equipped with gas hob, electric oven, fridge freezer, dishwasher, washer-dryer and microwave as well as all the usual equipment. Bath, shower, toilet and basin. There is also a downstairs cloakroom. 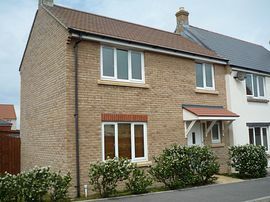 The Property has full gas central heating throughout. At the rear of the house there is a garden with a patio and barbeque area with garden furniture and a clothesline. Weekly: from £210.00 - £550.00. 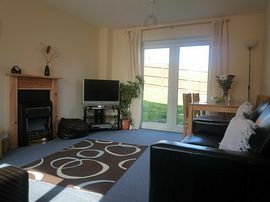 Short breaks available: from £150.00.